Helen TeAta Gale Cole was born in 1922 in Tishomingo, Oklahoma. She is of both Chickasaw and Choctaw descent. The proud member of the Chickasaw Nation is also the niece of the famous storyteller, Te Ata Fisher, and is the mother of Oklahoma politician Tom Cole. Cole began her successful 18-year political career in 1978, when she was elected to represent Moore, Oklahoma, in the Oklahoma House of Representatives. Cole then went on to serve in the Oklahoma Senate from 1984 to 1988, representing District 45. Immediately following her service in the state legislature, Cole was elected mayor of Moore, Oklahoma. During her political career, Cole also served as a delegate to the Republican National Convention in 1968, 1992 and 2000. Cole was an advocate against drug and alcohol abuse, and she was also well known for her work as a member of the State Ethics Commission. Cole was dedicated to raising the standards of behavior for state officials and was passionate about improving the state of Oklahoma. 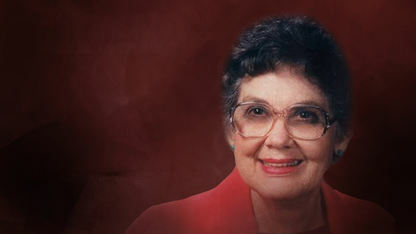 As a result, Helen Te Ata Gale Cole was inducted into the Chickasaw Hall of Fame in 1999 for her significant public service. She passed away on April 7, 2004, in Norman, Oklahoma.